• Up and coming Aussie dance/pop star Elen Levon (pictured) will launch her debut single ‘Naughty’ this Friday night at Sydney’s RNB Superclub. Catch the singer performing live at the Arthouse Hotel one week out from the single’s digital release. • UK singer songwriter Passenger may have only hit our shores late last year for a selection of live dates, but he’s back again later this year for even more. He’ll be on stage in Sydney, Melbourne, Brisbane, Perth, Adelaide and Hobart, kicking off at Melbourne’s East Brunswick Club on Saturday November 05. • US duo LMFAO are inbound for the Stereosonic Festivals across the country, but they’ll be warming everything up in Sydney next Monday night with an exclusive DJ set. They’ll hit the stage at the Oxford Art Factory from 9pm. • Mrs Russell Crowe, Danielle Spencer has recorded a cover version of the David Bowie classic ‘Ashes To Ashes’. She’s offering it up as a free download from her FACEBOOK PAGE, where you’ll also find details of a tour she’s doing with Steve Balbi. • Shock Records will release a brand new Ozzy Osbourne live DVD entitled ‘God Bless Ozzy Osbourne’ in mid-November. It’s the first official portrait of the legendary rocker and was produced by his son Jack. ‘God Bless Ozzy Osbourne’ will hit the shops on November 18. 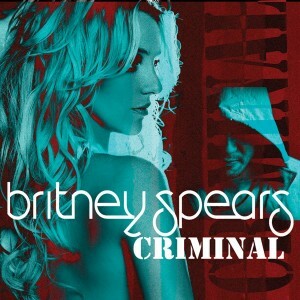 • Stacks of new tracks out at radio this week, including the new single from Britney Spears – ‘Criminal’. It’s the fourth single to be lifted from the singer’s latest album ‘Femme Fatale’ and follows on from the hit singles ‘Hold It Against Me’, ‘Till The World Ends’ and ‘I Wanna Go’. • Among the other tracks out there this week include the aforementioned Natalie Bassingthwaighte, Anthony Callea, Pixie Lott and Altiyan Childs singles, Sophie Ellis-Bextor’s ‘Starlight’, Katy B’s ‘Broken Record’ and the brand new Flo Rida single ‘Good Feeling’. • On the UK charts, boy band One Direction has debuted at No.1 with their single ‘What Makes You Beautiful’. It’s the only top ten debut of the week, but Will Young’s surged again with his single ‘Jealousy’ – it’s back into the top ten at No.9. • And Ed Sheeran has debuted atop the British album chart with his new LP ‘+’. Laura Marling’s ‘A Creature I Don’t Know’ is in at No.4 and the Kooks’ ‘Junk Of The Heart’ debuts at No.10. We’ve heard nothing about One Direction for Australia thus far – it’s not on any of the schedules we’ve seen. Any word on when One Direction’s new track will get a release here in Australia?